With this mission, SpaceX’s Falcon 9 rocket will deliver 11 satellites to low-Earth orbit for ORBCOMM, a leading global provider of Machine-to-Machine communication and Internet of Things solutions. The ORBCOMM launch is targeted for an evening launch from Space Launch Complex 40 at Cape Canaveral Air Force Station, Fla. If all goes as planned, the 11 satellites will be deployed approximately 20 minutes after liftoff, completing a 17-satellite, low Earth orbit constellation for ORBCOMM. 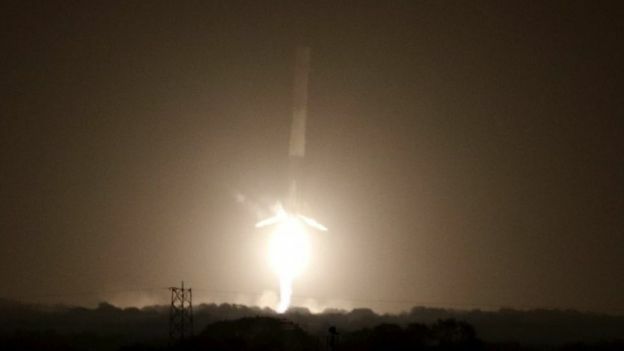 This mission also marks SpaceX’s return-to-flight as well as its first attempt to land a first stage on land. The landing of the first stage is a secondary test objective.